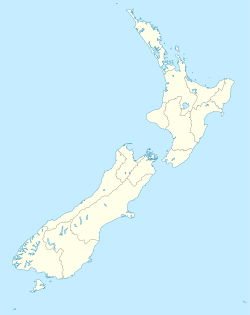 Queenstown (Māori: Tāhuna) is a resort town in Otago in the south-west of New Zealand's South Island. It has an urban population of 15,850 (June 2018), making it the 27th-largest urban area in New Zealand. In 2016, Queenstown overtook Oamaru to become the second-largest urban area in Otago, behind Dunedin. The town is built around an inlet called Queenstown Bay on Lake Wakatipu, a long, thin, Z-shaped lake formed by glacial processes, and has views of nearby mountains such as The Remarkables, Cecil Peak, Walter Peak and just above the town, Ben Lomond and Queenstown Hill. Queenstown became popular in South Asia after the release of Bollywood blockbuster Kaho Naa... Pyaar Hai, which was partially shot there. Starring sensational debuts by Hrithik Roshan & Amisha Patel it was this film that opened the doors for both tourists and filmmakers from India to New Zealand with Queenstown being the most sought-after destination. Queenstown featured for 17 minutes in I Hate Luv Storys, a 2010 Bollywood romantic comedy. Queenstown and the surrounding areas were also used in the 2009 X-Men Origins: Wolverine film. Mee-Shee: The Water Giant was shot in Queenstown in 2005, and released to DVD in the same year. Queenstown was also used to film most of the 1988 The Rescue. Queenstown was the base for filming the George Lucas 1988 fantasy film Willow. Queenstown Airport takes flights from Australia by airlines Air New Zealand, Qantas, Virgin Australia and Jetstar and has destinations that include Brisbane, Gold Coast, Melbourne and Sydney (the frequency is much increased over the ski season and during summer). Domestic flights fly to Auckland, Christchurch and Wellington. Queenstown Airport is New Zealand's busiest helicopter base, also the fourth-busiest airport by passenger traffic, and is also heavily used for tourist 'flightseeing', especially to Milford Sound and Mount Cook, using both fixed-wing and rotary-wing aircraft.